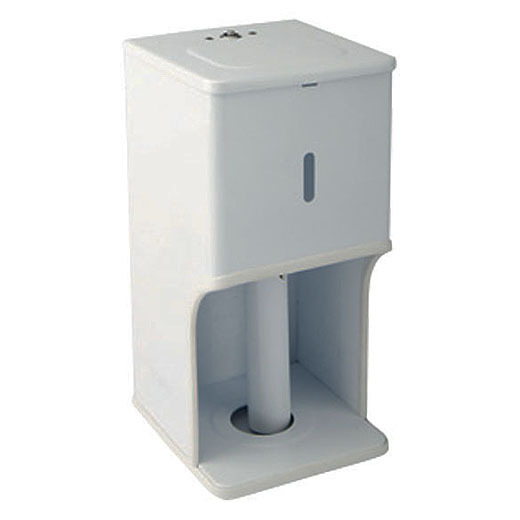 Serra Rol SQ2 (square front) offers safe and convenient dispensing of toilet roll tissue. The durable and compact holder is quick and easy to refill. The spare toilet roll is kept out of sight until needed. Units require less servicing. Lockable and vandal resistant. Stainless steel unit available with brushed finish or white powder-coated finish. Holds 2 rolls. All Serra Rol SQ2 models are manufactured from high quality Mild Steel or high grade 304 18/10 Stainless Steel. A quality powder-coated finish is applied to the Mild Steel units to produce a durable stylish unit. The Stainless Steel units are available in either Bright Annealed and/or Satin/Brush finish. 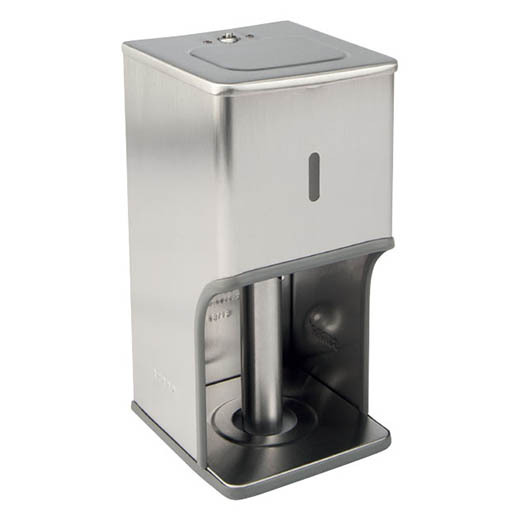 All Serra Rol SQ2 Toilet Roll Holders incorporate the Snaplock locking system. All models open by key only and lock automatically, thus preventing roll theft. The universal Serra Barrel key fits all models, i.e., one key opens/unlocks all units. The unit locks automatically on gently securing/pushing the top lid back into the shut/closed position. The Serra Rol SQ2 holders allow for both the standard and 'maxi' industrial 600 sheet rolls without restricting the rotation of the roll when the roll is in the 'use' position. The range easily holds 800 or 1000 sheet toilet rolls.